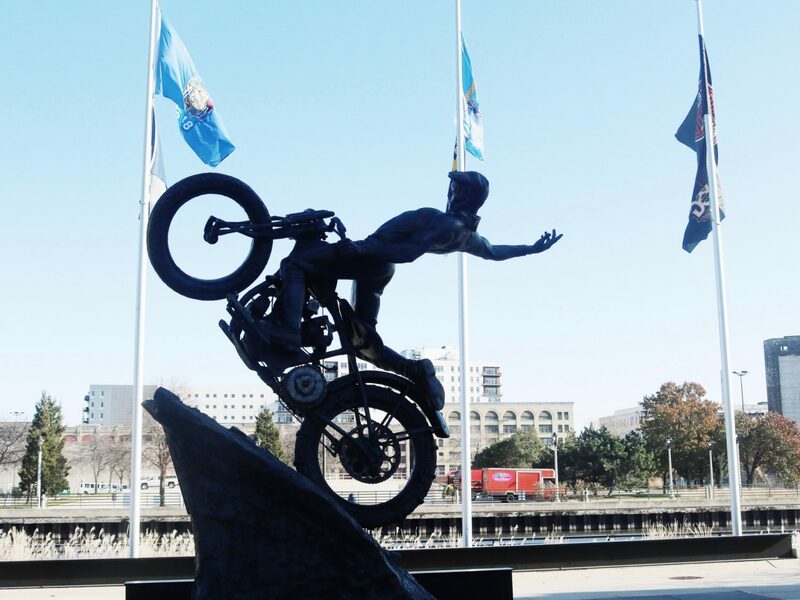 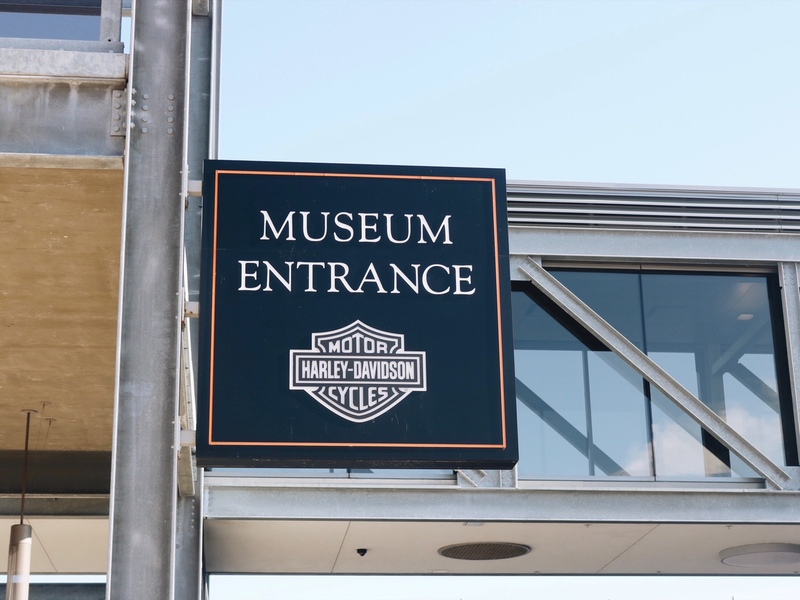 No trip to Milwaukee is complete without a visit to the Harley-Davidson Museum! 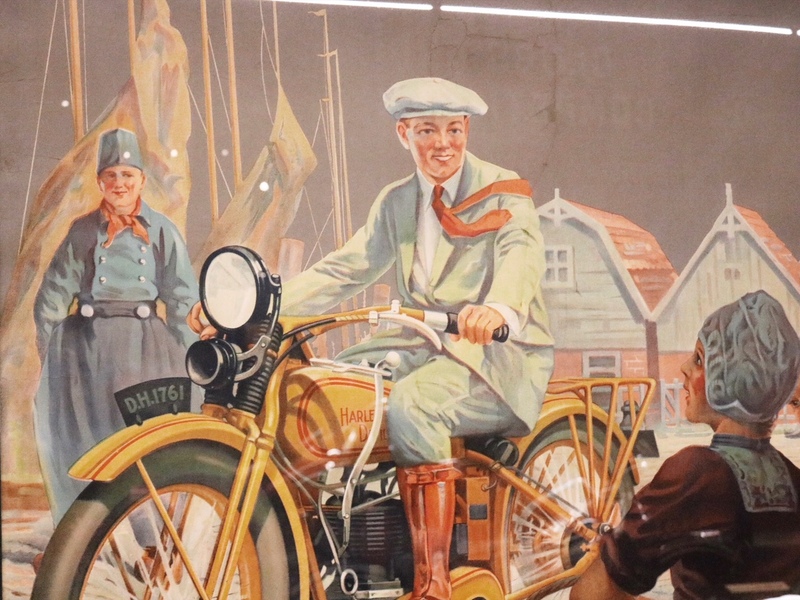 Fun fact: The iconic American motorcycle manufacturer was founded out of a small shed in 1903 by William S. Harley and brothers Arthur and Walter Davidson in Milwaukee! 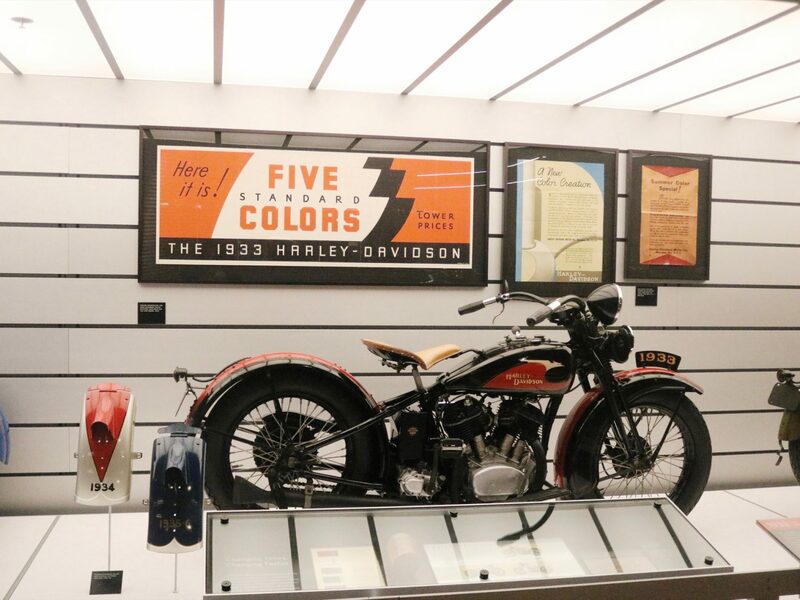 Hence why the museum, which is dedicated to the more than 100-year history of Harley-Davidson motorcycles, is located in Milwaukee. 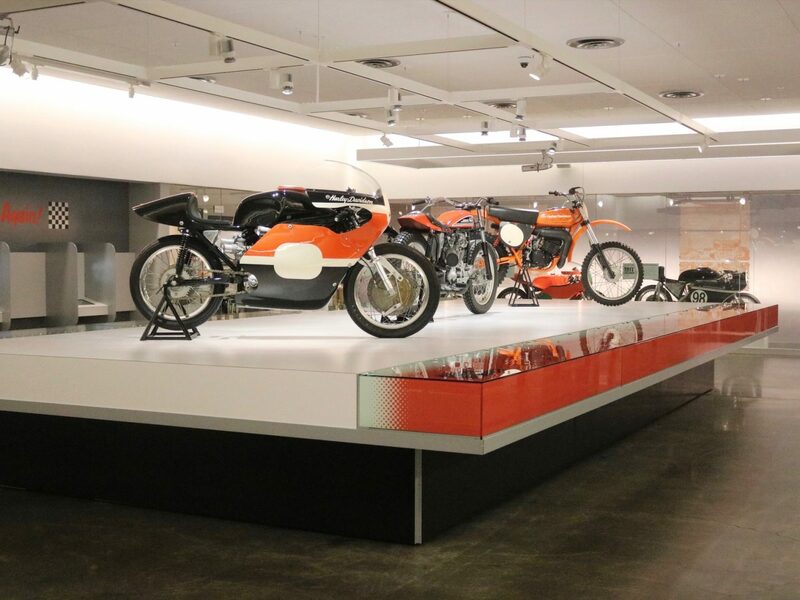 The Harley-Davidson Museum is separated into two floors/levels. 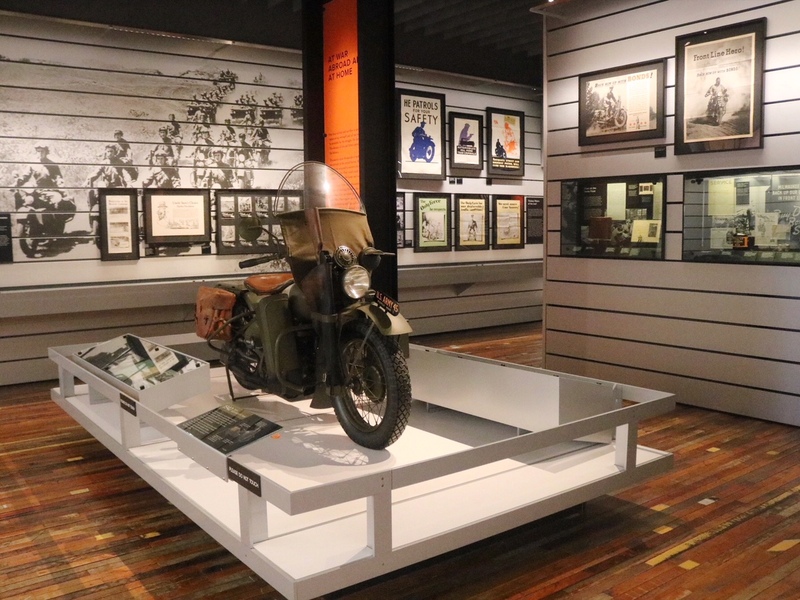 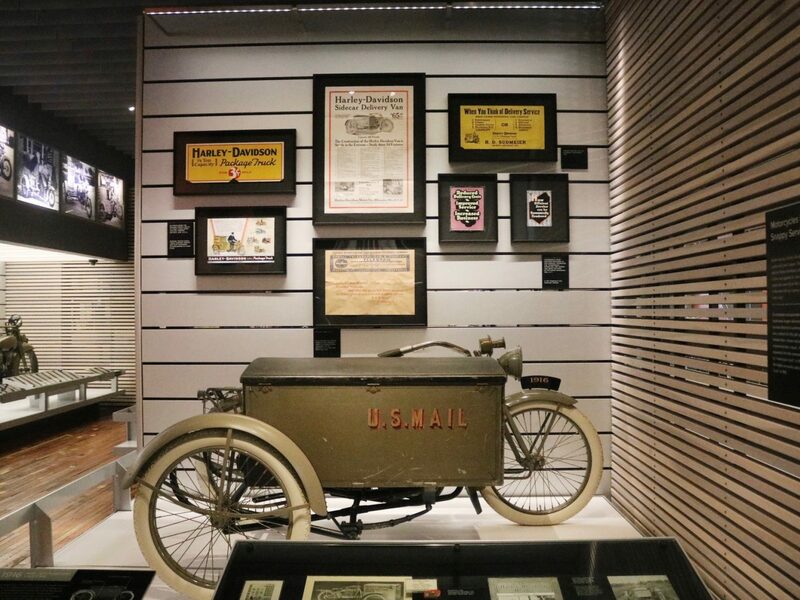 The upper level shows the procession of Harley-Davidson motorcycles from the early 1900s until now. 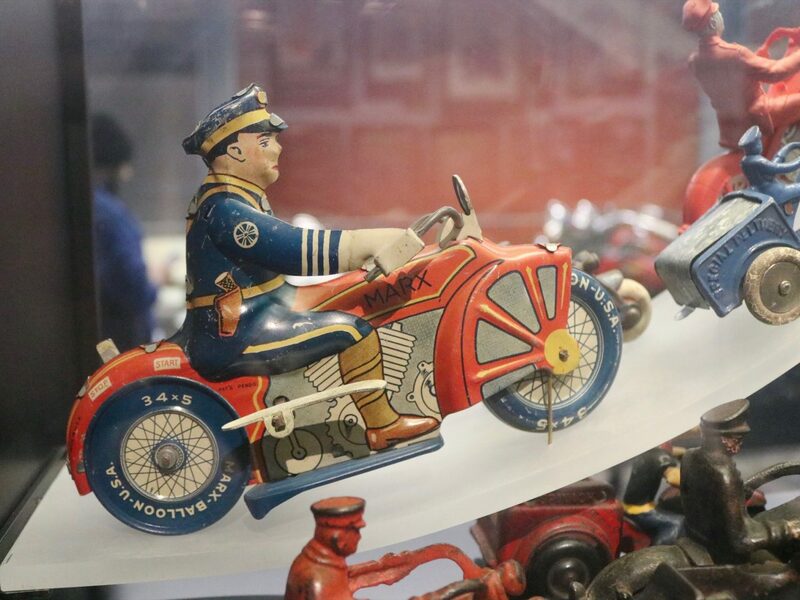 That’s a LOT of motorcycles! 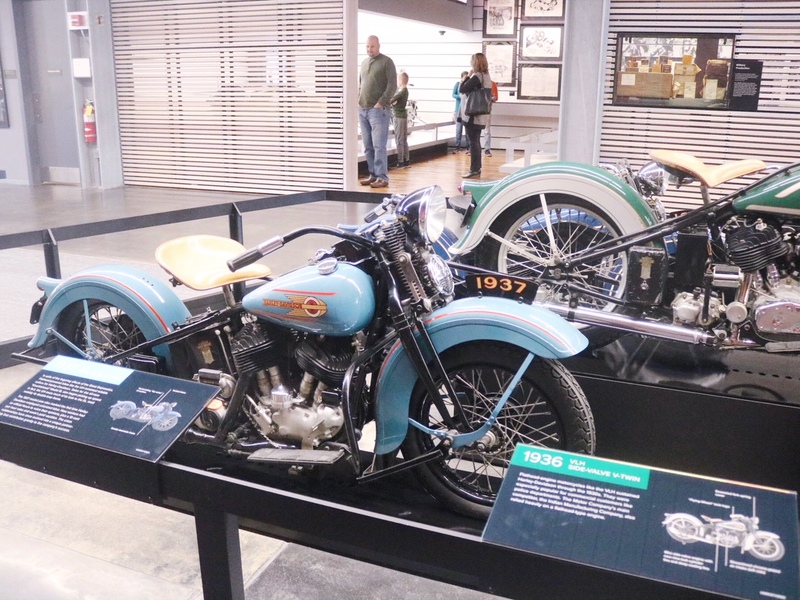 I really enjoyed seeing all of the older Harley-Davidson motorcycles, especially the ones from the early 1900s! 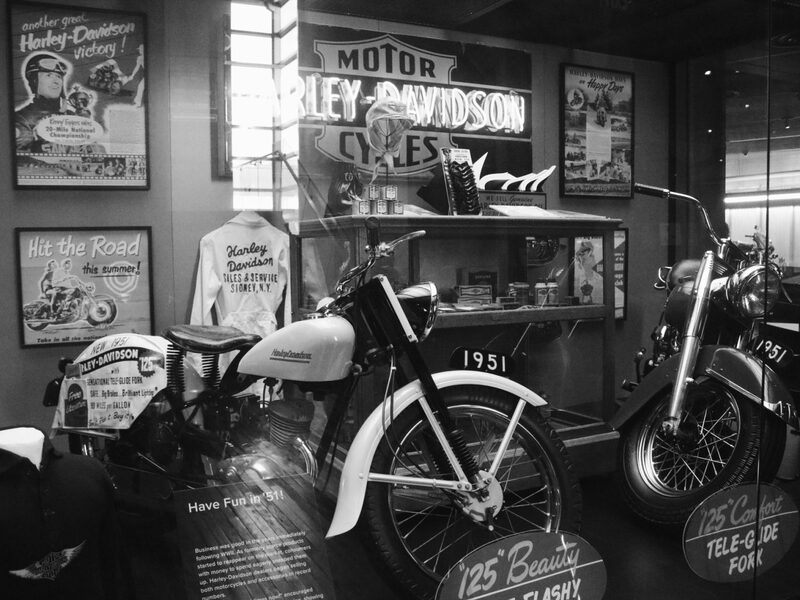 It was cool to compare them to the newer Harleys I’m used to seeing nowadays. 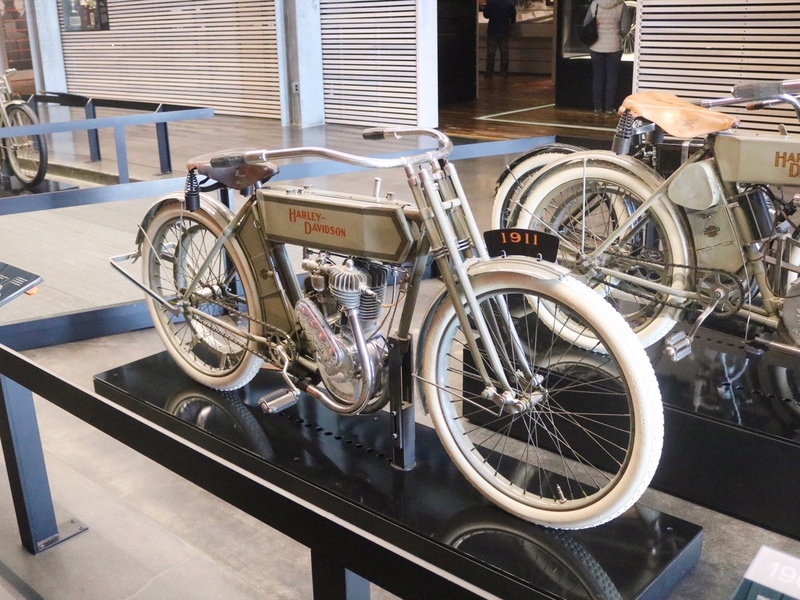 I feel like the older Harley-Davidson motorcycles resembled bicycles more than they did motorcycles. 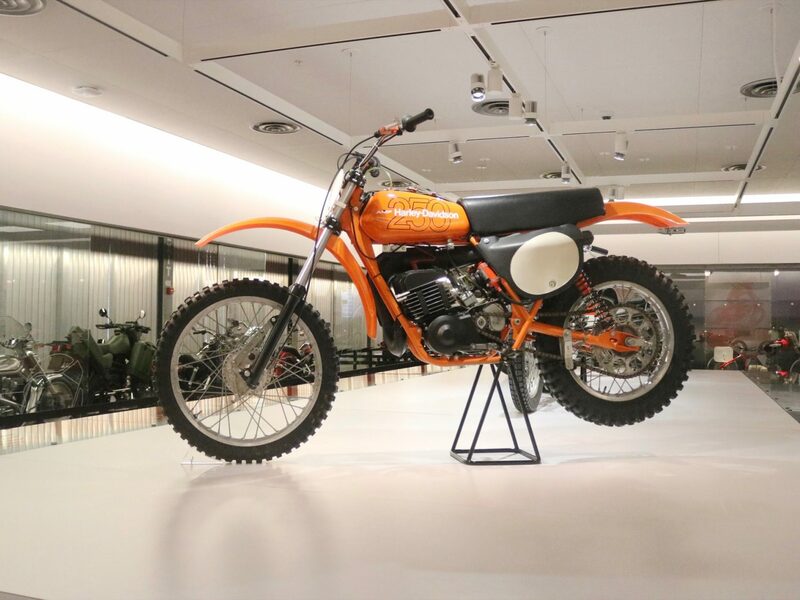 There was a room on the upper level of the Harley-Davidson Museum that displayed different “job-based” Harley-Davidson bikes! 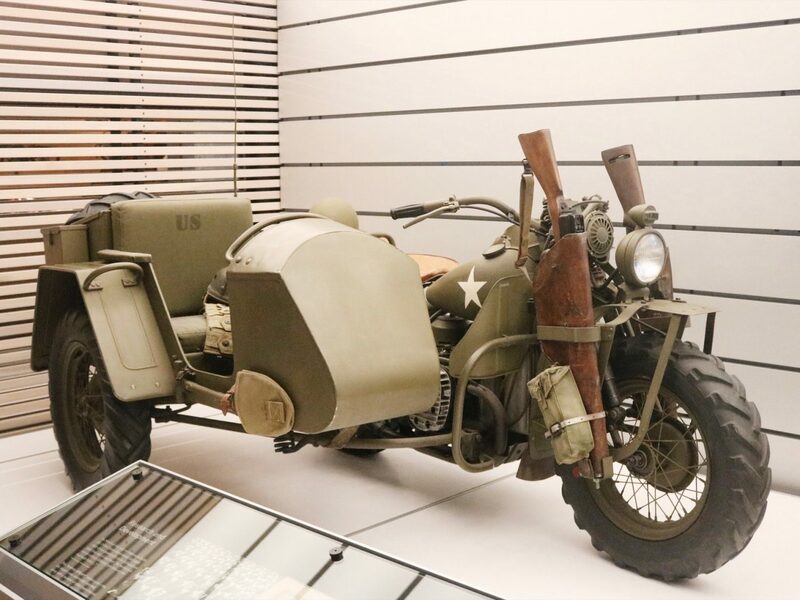 The room had Harley-Davidson motorcycles that were used in the different branches of military, by the police and even mailmen. 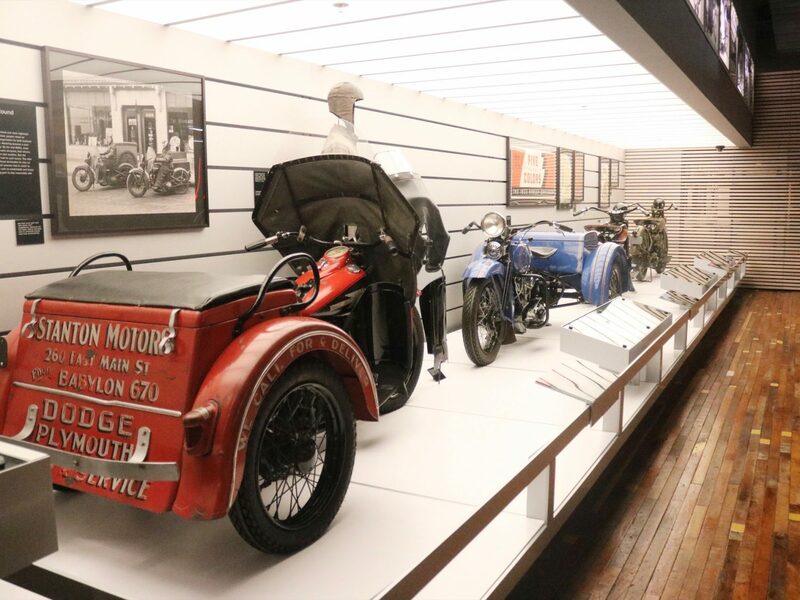 It’s crazy to think how heavily Harley-Davidson motorcycles were used in the early days of vehicles. 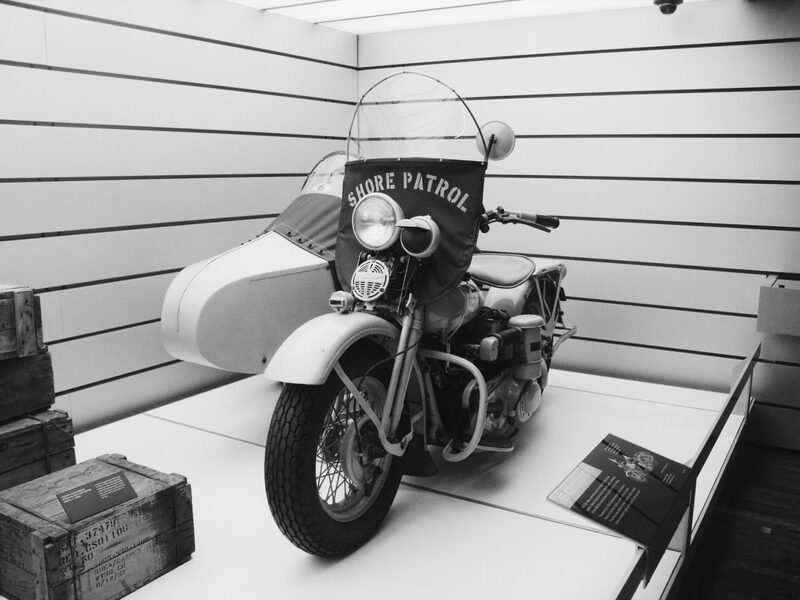 My favorite Harley-Davidson motorcycle was definitely the Shore Patrol one since my mom was in the Navy. 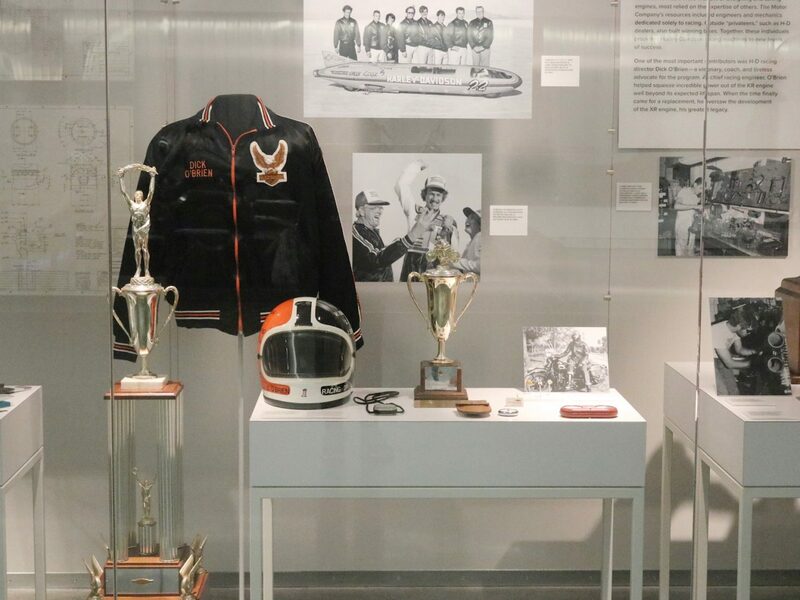 (Technically both of my parents were in the Navy but I was only raised by my mom so…). 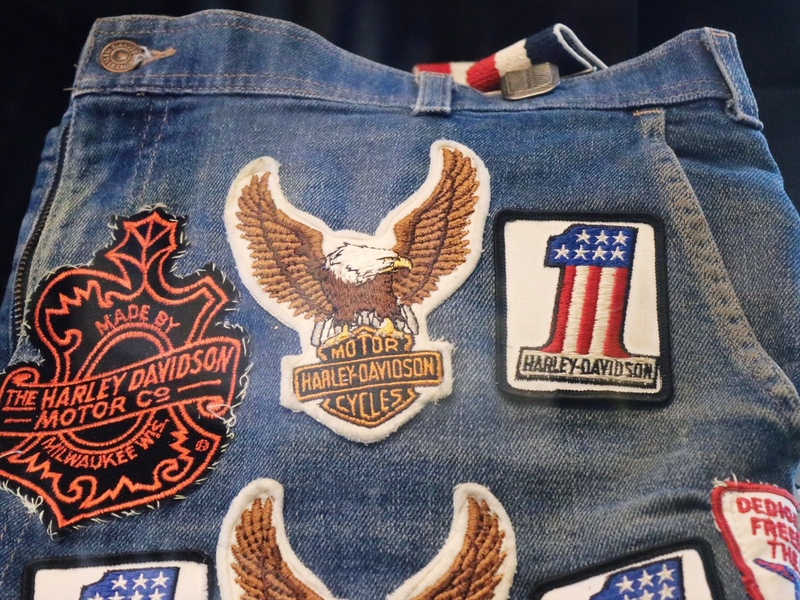 You gotta love all these vintage Harley-Davidson patches! 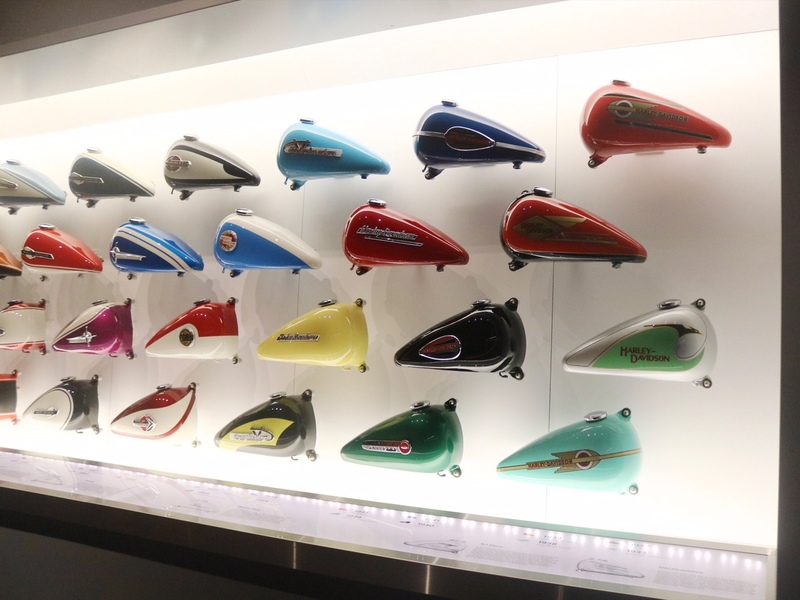 One of my favorite things about the Harley-Davidson Museum was the “Experience Gallery.” In the “Experience Gallery” there were several Harley-Davidson motorcycles you can ride (well sit on), touch and admire! 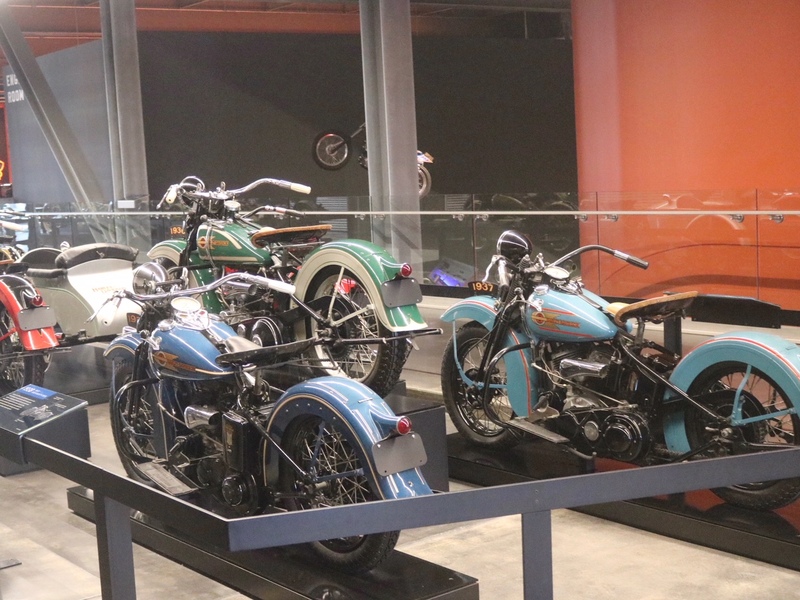 I’m no motorcycle enthusiast but I truly enjoyed exploring the Harley-Davidson Museum!